NEW YORK (Forex News Now) – The Australian dollar on Tuesday erased losses against its U.S. counterpart that the currency suffered after the Reserve Bank of Australia unexpectedly left interest rates unchanged. In late U.S. currency market trading, AUD/USD hit 0.9714, up 0.32 percent on the day, after rising from a 7-day low of 0.9541. Early Tuesday, the Australian central bank held its benchmark interest rate, the Cash Rate, at 4.5 percent for the fifth consecutive month, defying market expectations. 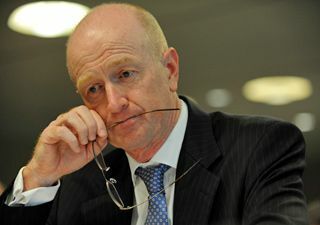 In a statement accompanying the decision, RBA governor Glenn Stevens said he expected inflation to remain within the central bank’s target band of 2-3 percent over the near-term. According to intraday analysis, AUD/USD was likely to touch support around the daily low, 0.9541, and encounter immediate resistance around 0.9792, the high of July 22, 2008. The Aussie’s gains also came after an industry report showed that activity in the U.S. non-manufacturing sector grew more than forecast in September. Elsewhere, the Aussie rose slightly versus the yen: AUD/JPY traded at 80.83, up 0.14 percent, according to intraday analysis.